Established in 1981 and with a headcount of 11, the cold rolling steel manufacturer services the automotive sector, lock industry and press workers − exporting 20 per cent of sales to customers in Europe and Asia. Having outgrown 7,000 sq ft rented premises and looking to increase staff numbers, commercial director Steve Smallman approached NatWest to secure the financial backing. The deal has enabled the business to purchase a new 14,000 sq ft unit on Ashmore Business Park, remodelling the layout to increase production capacity. 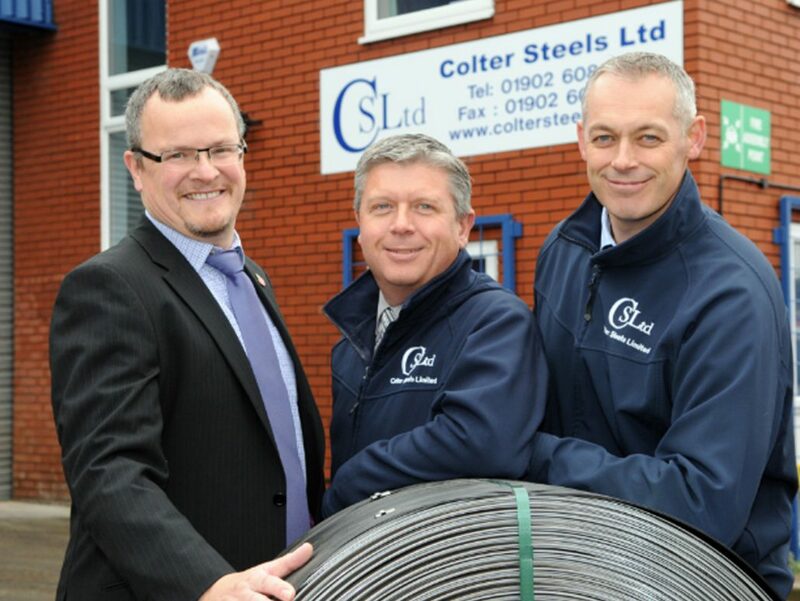 Colter Steel’s commercial director Steve Smallman, who took over the business in 2008 with operations director Colin Giles, said: “We had reached a point where we were literally bursting at the seams, with no room to grow the business as we wanted to. Buying our own property was always an important part of our longer-term plans and now gives us the scope to develop new products and provide a better service to our existing customers, and potentially increase our share of the UK market as well as increasing exports. We’re also looking to take on three staff within the next year, which will make a huge difference.